I am in beautiful Buenos Aires at my second World Professional Association for Transgender Health. My first was held in Amsterdam in 2016 when I was a fresh faced, just-finished first year medical student. Now, as a mid-fourth year student I am significantly more exhausted and disillusioned; I also have so much more doubt about choosing this field of medicine as my calling. I like to tell the story that I returned to medical school to practice transgender health. Specifically, to be able to prescribe transitional hormones and participate in the insurance racket to reach more people. And that is part of the story. The root truth is I have been compelled to be a full scope physician for many reasons and transgender medicine gave me a focus because it was something I could not attain as the Naturopathic Doctor that I was before. The last session I attended at the WPATH ARGENTINA conference was an incredible and inspired panel of Brazilian intellectuals speaking on depathologizing the transfeminine and deconstructing cisheteronormativity. 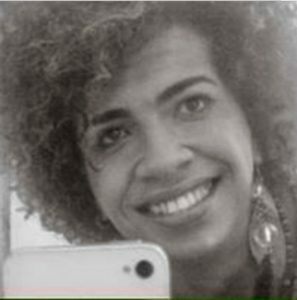 Fran Demetrio, a transfeminine Brazilian professor was so passionate and eloquent in her discussion of injustice, oppression, systemic violence and the colonization of knowledge imported by biomedicine. She was being translated which made some of the discourse hard to fully comprehend and I wished WPATH had provided a professional translator for her because what she had to say was so profound and important and well thought out. She framed a paradigm that took the personal out of the conversation and raised it to a social construct and human justice level. In rough translation, she explained that not including the existential experience of trans voices in episystemic medical knowledge creates symbolic violence and perpetrates the colonialism of transgender relationships. This generates mental health violence and tramples the [transgender] patients knowledge. Considering and understanding this is essential to depatholgize the trans experience. 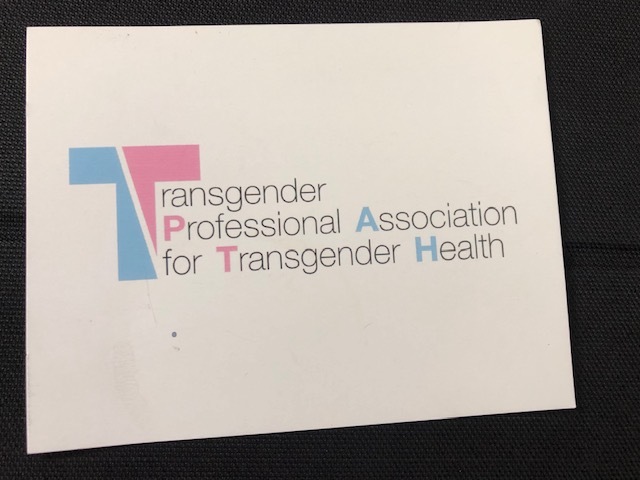 Despite the multiple disparities that this population faces world wide, there is a slowly increasing body of trans identified physicians and health leaders in the field. However, to date many of the people making the decisions about gender medicine are not differently-gendered themselves. Surely, this is problematic. 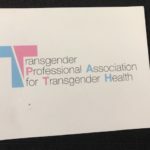 The numbers of trans identified health care leaders is increasing by the year, and with groups like the Transgender Professional Association for Transgender Health, they are seeking greater control around the discourse of gender medicine and claiming their place as necessary voices in the didactic. The tensions between cis and trans leadership has created a simmering anger within this medical community. A socialist friend of mine shared that in activism in general there is a current trend towards challenging aggressions towards advocacy leaders in many different fields with a similar theme of – who has the power to speak and represent the cause? I was personally attacked in this rising conflict this year when I created a transgender health elective as a third year medical student for global medical students to supplement core medical school curriculum. A variety of trans and nonbinary people on social media threatened to create a petition against the course as it does not have a transgender identified course leader and there were multiple flamings on Facebook. I personally received several vitriolic emails from different people about the course, its content, and my leadership. I was privileged to have a team of (cis and transgender) people who have been in the field for a long time holding leadership positions to assist me in creating online and email responses that were balanced, appealed to reason, and illustrated the many ways the course seeks to uphold and respect the “nothing about us without us” principle while promoting evidence based foundational medicine. 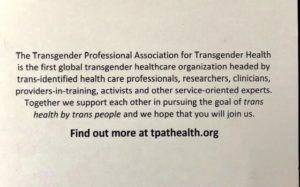 I brought up this conflict between cis and trans leadership in the didactic of transgender medicine again at one of the ethics seminars at WPATH, where leadership and authority privilege was being discussed. Unfortunately, I was emotional in my questioning of the ethics behind attacking ally’s and advocates, as I am still deeply shaken by this experience. The response from one of the panelists was that when working as a non trans person with the gender diverse community there is so much anger one must simply expect to be attacked and be ok with that. 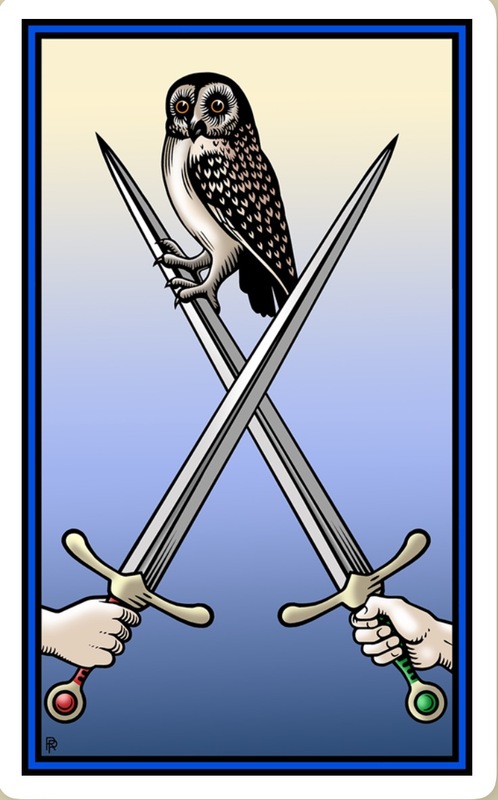 I am a person who has been excavating emotional violence in my personal life and creating real boundaries to protect myself for the first time. I don’t think I can intentionally choose a career were the population I am exhausting myself to serve reserves the right to be emotionally violent towards me indiscriminately because of their experience of violence. That is like saying that my mother has the right to be violent towards me in any way she sees fit because of the abuse she and her mother suffered. No. Dr. Demetrio’s message ultimately lifted my perspective of the conflict to a healing systems approach. 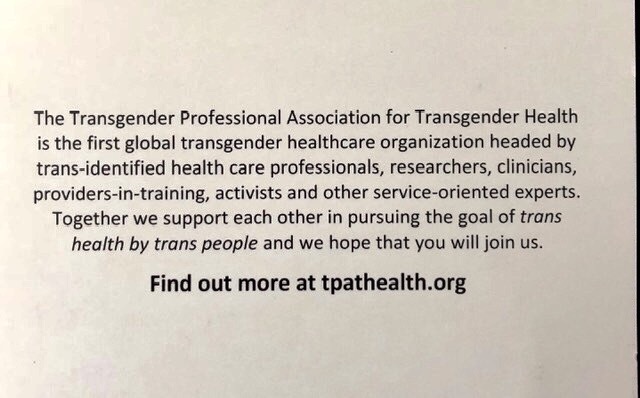 With this in mind, I am still recalibrating my commitment to trans health as a specialized field of medicine, while intentionally making room for the many trans identified health care leaders. As a nontrans woman and a white queer/lesbian, I devote the next phase of my medical education to the foundations of internal medicine as well as lesbian health, vaginal happiness, fertility, community health, and queer health issues like addiction and mental health. My view of women’s health includes trans and cis women, as does my passion for community wellness. I am confident that these past 11 years of studying transgender medicine and advocacy work will continue to inform the communities I serve, if in a less direct way. I see now that when I claim my leadership vision within a paradigm that matches my own identity I can be stronger and more authentic.